Roger Ebert was — is — a hero of mine. I’ve often thought that if I could be one tenth as clear, witty, insightful and kind, I’d consider myself a good writer. I remember getting a copy of Microsoft Cinemania in the early 1990s, casually browsing the archive of Ebert reviews and realizing that here was someone who really, really knew how to write — and from that point on I was hooked. In the decades since then I don’t think I’ve rented a movie or gone to the theater without checking to see what Ebert had to say about it first. On the few occasions when he wrote something that moved me to respond directly he always answered my emails thoughtfully and kindly. That he took the time at all out of his incredibly busy life to answer fan emails is just one small example of his generosity. Tonight I’m going to take AV Club reviewer Zack Handlen’s advice and watch Citizen Kane again with Roger’s commentary track. It’ll be good to hear his voice. This entry was posted in Non-computer and tagged ebert by ericlippert. Bookmark the permalink. Great write up. It’s a really sad day. May his soul rest in peace. 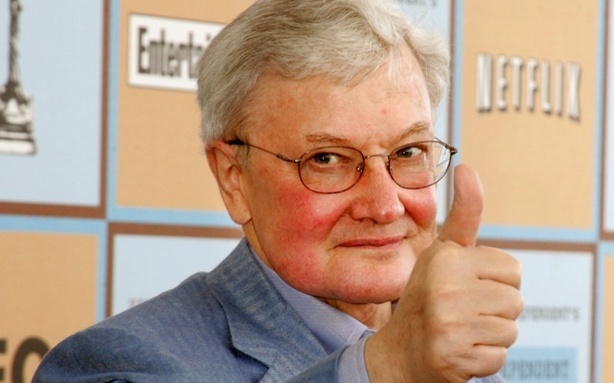 But I must say that what Roger Ebert is to you, you are to me, a personal hero. Ever since I have started reading your blog and the way you teach, I have been your fan. You ignited a passion in me to teach others and whenever I am teaching something to a junior colleague and they grasp it, they ask me, how do you know these things? I always reply, ‘Eric Lippert taught me’. So, thank you for all your writings and teachings. Thanks, that’s very kind of you to say; I appreciate it. Seconded. You seem fiercely clever, yet you still stay humble and teach with patience and thoroughness. You inspire us all. Thank you Laci, that’s a kind thing to say. I appreciate it.